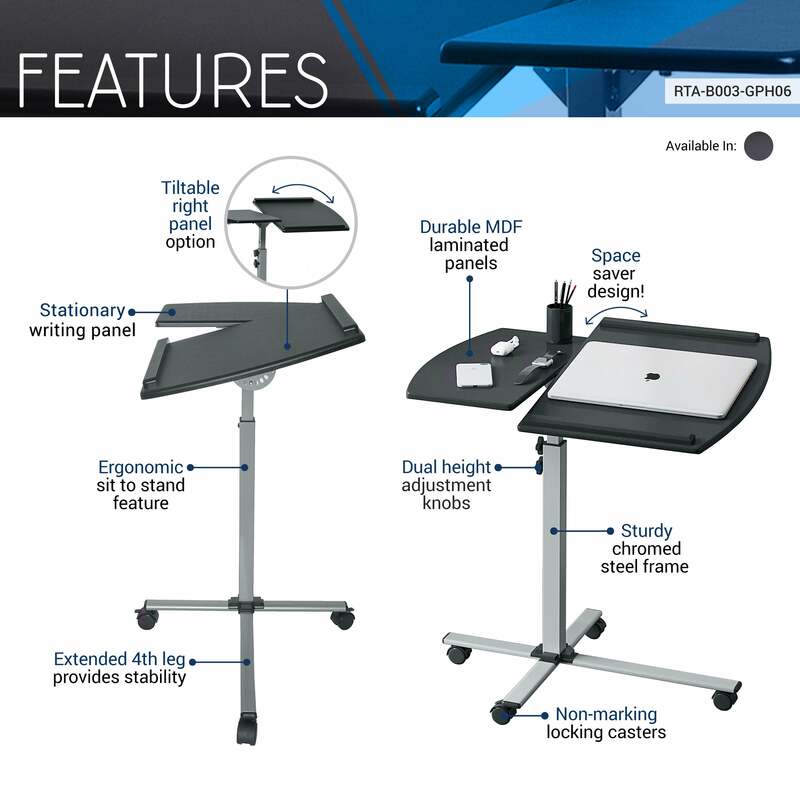 The Techni Mobili Deluxe Rolling Laptop Stand saves space while providing the laptop or writing setup you need. The main panel tilts so you can adjust it to the most ergonomic, comfortable working angle. It also features safety edge-stoppers to prevent objects from sliding off when the panel is tilted. You can also easily adjust the height from 30" to 35" with a dual knob system. The extended 4th leg provides increased stability. Two of the fours non-marking nylon casters include locking mechanisms. The main tilting table panel has a 30 Lbs weight capacity, the stationary table panel has a 45 Lbs weight capacity and both are made of MDF with a moisture laminate veneer atop scratch-resistant powder-coated steel frame. Color: Mahogany & Graphite.